Several years ago, PJ. Clarke's had served up a pretty OK burger in NYC, but I had high hopes for the Las Vegas outpost. Happy Meal were fresh off of the enormous letdown of Rambo's Kitchen, and I wanted to set things right with a high-end burger. Hope was expensive. We arrived at a very slow time of the evening and a staff that was relatively uninformed regarding the signature burger. 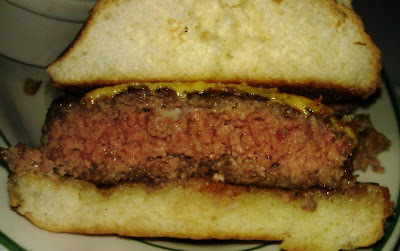 The cheeseburger at P.J. Clarke's was a whopping $17.60, so we were hoping for something relatively impressive. We ordered a couple of Deluxe Burgers and settled in for 20 minute wait. P.J. Clarke's was located at Caesar's Palace. The decor was true to NYC, only with more cameras. The Beef: Meh. The burger meat arrived pre-ground from the Outwest Meat Company in Las Vegas. The beef was sourced from a ranch in Wyoming. The pre-cooked weight was 8 ounces. I mistakenly ordered my burger Med-Rare due to the assumption that $17.50 would get me something better than Chuck. I was incorrect--at least, the beef was so mild that is seemed like Chuck. Regardless, the 80/20 ground beef was moderately beefy, quite juicy, and that was about it. The beef was ground at a medium-coarse setting. The bite was tender and not oily. There were no notes of iron, blood, or aging. The beef was slightly above average. The Sear: P.J. Clarke's in spite of being a big time steakhouse was unable to get a competent sear onto the beef patty. I found this confusing. This should have been simple and obvious. It was not. This cheeseburger would have benefited greatly from the sort of sear that a steakhouse should be capable of. The Preparation: The 8-ounce patties were loosely formed. My burger arrived at a perfect Med-Rare, as requested. The burgers were cooked on a gas-fired griddle. The Cheese: The American cheese was perfectly melted. The American cheese saved the day for this otherwise, ho hum burger. The cheese filled in with savory and iron notes. This properly rounded out the bite. The Bun: P.J. 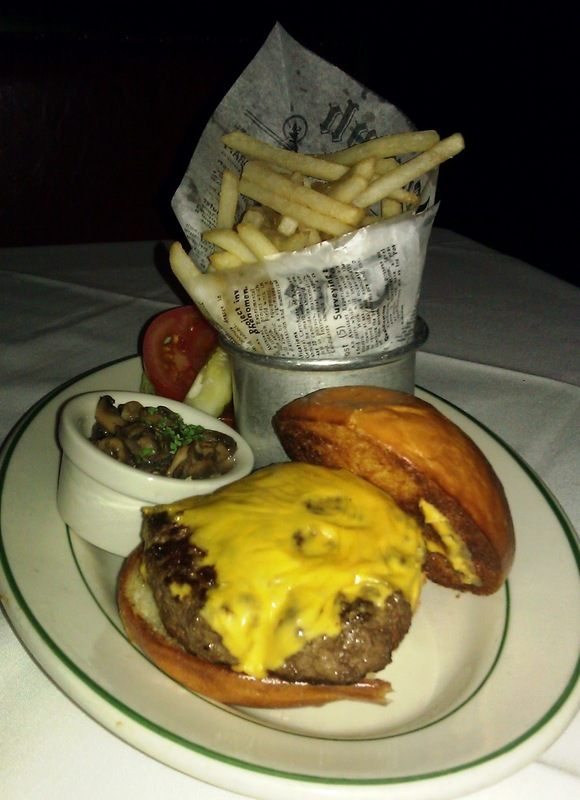 Clarke's served the cheeseburger on a nicely toasted brioche-style bun. The bun was mild and slightly sweet. Sadly, the assembled burger was delivered atop a freshly cut slice of raw, white onion. The result was that the taste of onion perfused the entire bite. I did not want this. The Toppings: The Iceberg lettuce was fresh and crisp. The tomato slices were a bit under-ripe. The Fries: Hell yeah! The fries at P.J. Clarke's were terrific.They were par-cooked. The fries were so evenly salted that I believe they had been brined. The fries were then fried in either incredibly fresh canola oil or rice bran oil. The fries were perfectly crisped. They were creamy in the center. The potato flavor was strong, earthy, and satisfying. The Value: Meh. $17.60 for a Chuck burger and fries was downright excessive. While the burger was pretty good, the price was absurd. 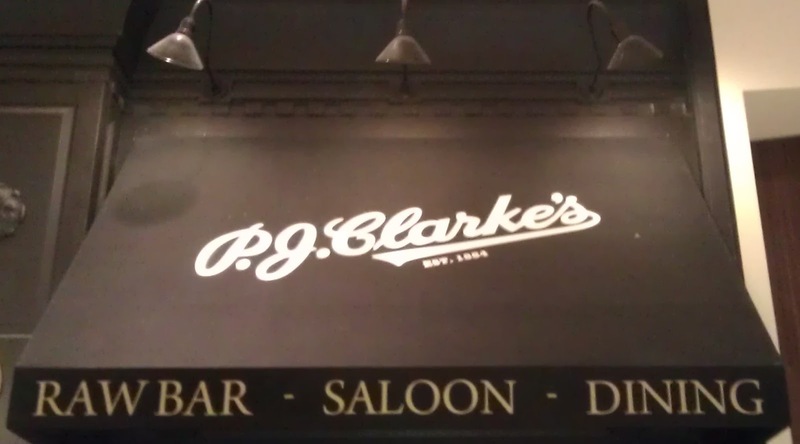 PJ Clarke's needed to contend with serious competition for both steaks and burgers. A more impressive burger would have been a welcome accompaniment to the impressive price. Burger Review : P.J. Clarke's of Las Vegas served up a good burger at an exorbitant price. The fries were spectacular, though.